Although Dwiki Dharmawan has been a well known performer in Indonesia for over 30 years, he only recently received more international recognition in 2015 when he released “So Far So Close” on the MoonJune label, a label which gave him much more access to a western audience. 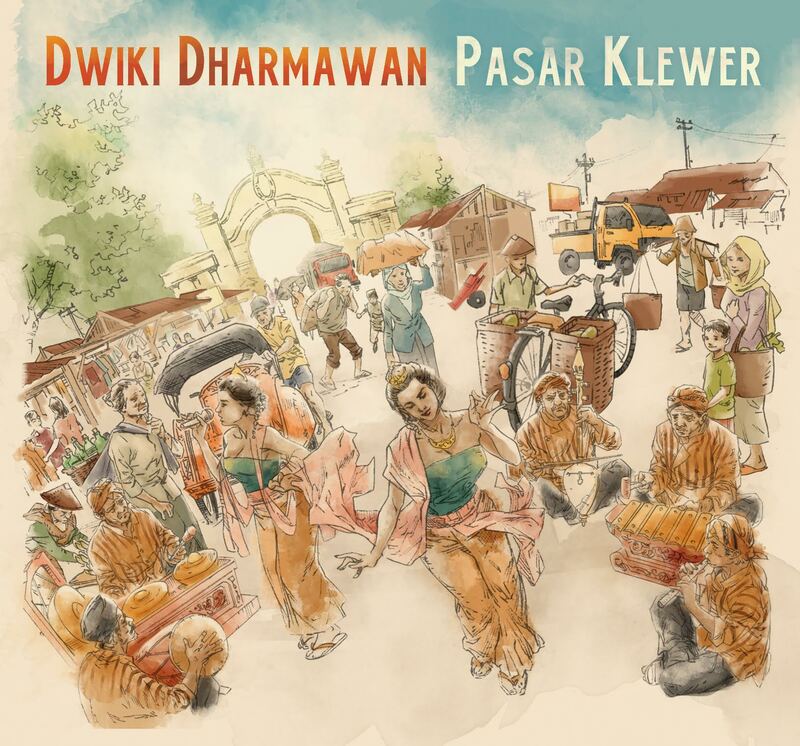 That album was broad and ambitious in itself, but on Dharmawan’s new CD, “Pasar Klewer, Dwiki takes the idea of ambition to a whole new level with a sprawling cinematic soundscape that could be called the “Sgt Pepper” of Indonesian fusion. There is literally a ton of intricate music on these two CDs, and the number of styles that are fused on here take us on a trip around the world, and several times at that. Exspansive cuts like the opening title track, and track three, “Tjampuhan”, are like Indonesian fusion symphonies that mix gamelin, free jazz, electric fusion, prog rock and movie soundtracks in multi-movement suites that build to energetic climaxes, only to subside and build again. Dwiki is an intense pianist with a very developed technique and a massive sound that can recall McCoy Tyner, Chick Corea, Vijay Iyer and Matthew Shipp. Master Indonesian musicians provide gamelin and traditional Indonesian instrumentation and vocals, while Mark Wingfield burns on electric guitar and Nicolas Meier on acoustic. Gilad Atzmon’s clarinet lends an oriental/East European slant to the international mix and Boris Salvoldelli brings his odd art rock vocals to a couple cuts, including a cover of Robert Wyatt’s “Forest”. Although there are plenty of high energy tracks on both CDs, on CD 2 Dharmawan includes a couple of ballads, including a Hank Marvin styled guitar instrumental of the afore-mentioned Robert Wyatt cover.